Samsung on Thursday announced that the Google Android-powered Galaxy Tab tablet would come on all four major U.S. wireless carriers, AT&T, Sprint, T-Mobile, and Verizon. Inspired by the iPad, the Galaxy Tab is Apple's tablet fiercest competitor so far, in a long trail of announced and unannounced tablets based on mobile operating systems. What Samsung still did not disclose is the pricing for the Galaxy Tab (it runs at over $1,000 unlocked in Europe), or when the tablet will actually be available. The only clue to that was that it will all be unveiled "in the coming months." Meanwhile, the Galaxy Tab will only differ slightly in terms of coloring and extra bundled software from carrier to carrier. There will also be a Wi-Fi-only version in the near future, the company said. Samsung learned from the success of the Galaxy S smartphone line, and decided to introduce its tablet on all four major U.S. wireless carriers simultaneously. The company said it has sold almost two million Galaxy S smartphones this way, only weeks after it announced it sold one million devices. Now Samsung hopes to replicate this success with the Galaxy Tab. The Galaxy Tab is smaller than the iPad, with a 7-inch screen, and only slightly thinner. It has a similar screen resolution, it's almost half as heavy, and packs in twice the amount of RAM memory of the iPad. Battery life on paper is not as long as Apple's tablet, but the 3.2-megapixel camera (with flash) on the back, and front-facing 1.3-megapixel video calling camera should compensate for that. Design-wise, Samsung borrowed many ideas for the Galaxy Tab from Apple's iPad. The tablet uses a strikingly similar 30-pin connector like the iPad (just in black, not white), a keyboard dock, and multifunctional carrying case. However, on the good side, the design of the Galaxy Tab is clean, shiny, and pleasant to the eye of any gadget lovers. Much of the debate around the iPad when it was first announced in January was that it is an over-sized iPhone. With the Galaxy Tab the same issues apply. The Galaxy Tab is one the first Android tablets on the market, and there aren't any applications in the Android Market (over 80,000 apps in total) that take advantage of the higher resolution screen of the tablet. As seen with the iPad though, developers quickly jumped on board and dedicated apps quickly came to light (over 25,000 since April). The same will probably apply to the Galaxy Tab, but meanwhile, the tablet is still an over-sized Android smartphone, with just a handful of apps (developed by Samsung). Full support for Adobe Flash technology (thanks to Android 2.2 on board) means however that you will be able to play all sorts of online games, without the need of dedicated applications. 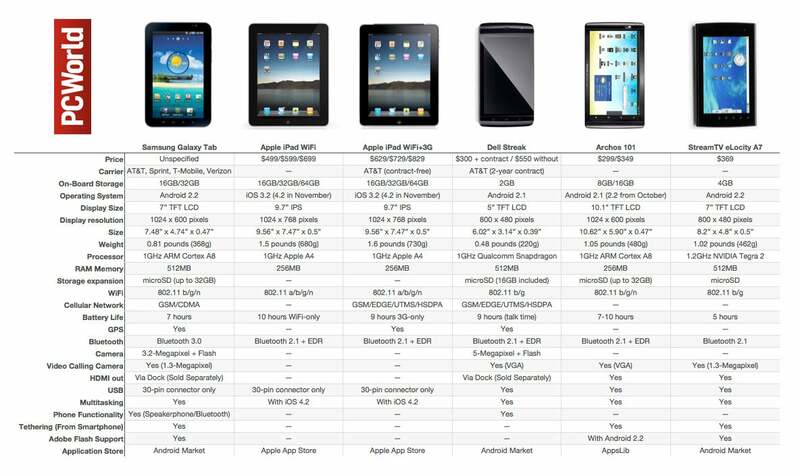 Apple's iPad has been commending the tablet market by itself since launched in April (over 3.3 million devices sold). Many companies announced their Android rivals to the iPad, but besides Dell's failed attempt to captivate the market with its Streak smartphone/tablet hybrid, no one really claimed the crown - until the Samsung Galaxy Tab. If Samsung gets the pricing for the Galaxy Tab just right, then its tablet should have high chances to be a hit with consumers this holiday season. The Tab ticks most of the boxes (on paper that is) for iPad's greatest rival so far, and if developers jump on board to make some great apps for it, Apple will feel Samsung's steaming breath on the back of its head shortly.